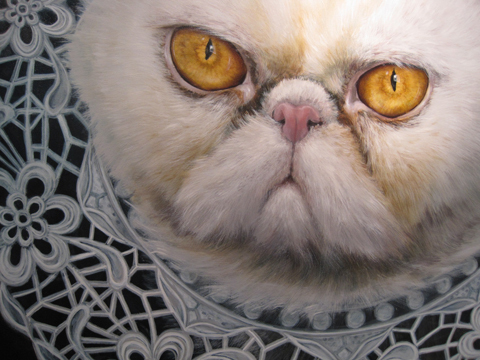 2010's Affordable Art Fair in Battersea Park promises to deliver something for everyone. Does it? As a daughter of a zany artist, viagra 100mg my home was usually filled with my mum’s artwork, more about which from the pivotal ages of seven to eleven, went through a phase of being a bit shocking. Not to me mind, I was used to it, but one particular instant sticks out in my memory. Upon picking up a school friend, a yuppie mother freaked out upon seeing a rather illicit canvas. “You want wallpaper? Go to Laura Ashley. Art is provocative.” My mum snapped from the kitchen, “Bloody yuppie philistine.” And that was the end of those playdates. Anyhoo, that line has always stayed with me. What makes art, and what is merely wallpaper? Attending an Affordable Art Fair is a double edged sword, depending on your perspective on what defines ‘art.’ At the Affordable Art Fair in Battersea Park this weekend, the place is ram packed with every type of artwork you could wish for. From oil paintings of Wine and Cheese (I can’t fathom why anybody would pay a grand for a painting of a block of Stilton) to rock n roll photographs of Johnny Cash, it’s well worth a visit although at least 99.9% of the artwork, I would probably label as wallpaper. Nice wallpaper, for sure, but wallpaper none the less. 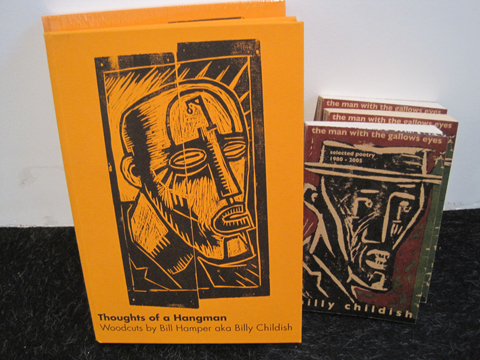 However, hidden in a little nook was a selection of artwork for sale by our old chum, Billy Childish, recently reviewed by yours truly for his ICA exhibition. 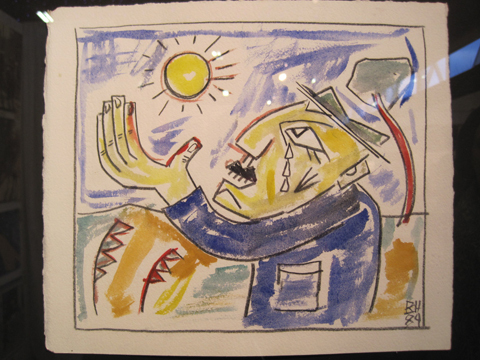 If you haven’t got a grand to splash out on some artwork, a selection of his poetry books are for sale. 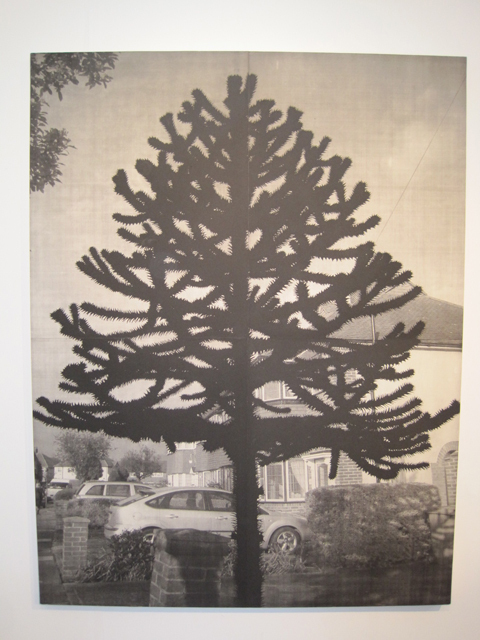 By the front entrance, Andrew Curtis has some lovely black and white canvases which make standard trees and shrubs look a bit like something from War of The Worlds. this canvas. ‘Possibly the best thing so far’ tweeted Amelia, as I continued to stare up into the big feline face like a monkey who had found a Rubik’s cube. 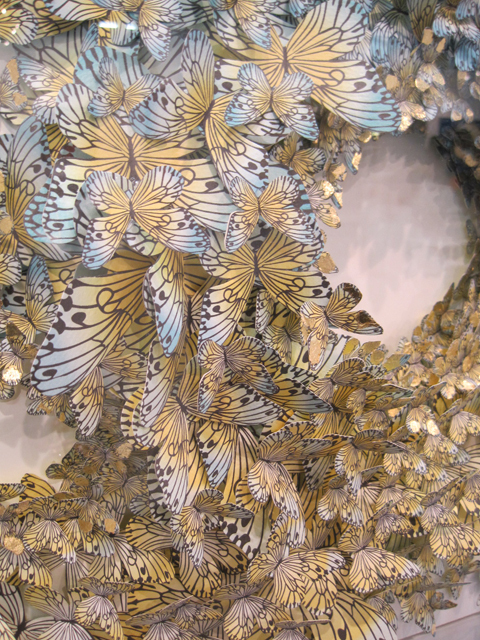 Working with paper was a big theme this year, successfully executed by Susila Bailey-Bond whose 3D butterfly collections were beautiful. If visiting The Woolff Gallery stall at the AAF (where Bailey-Bond’s butterflies are) please check out AnneMarie Wright’s ‘written series’, modern icons drawn by using words from books or speeches. Very impressive stuff. One of my favourite stalls at the Affordable Art Fair was courtesy of Snap Gallery, who specialise in rock n’ roll photography. Original Pixies cover art (like the above photograph for Surfer Rosa) sits next to truly beautiful portraits of Johnny Cash and Bob Dylan. Definitely a stop off point for the music lover. 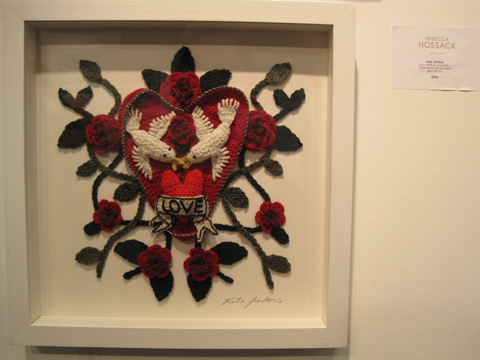 The Affordable Arts Fair is on from Thursday 11th March to Sunday 14th. For infomation, please check our listings or the website. I attended the opening night last night myself and thought that that was one of the best organized Fairs/Exhibitions this year that is definitely a highlight of the 2010 so far. The representation of many European galleries was a big plus, and the diversity of arts was immense, that was very well reviewed by Amica. The only personal put off for me were the actual people- galleries’ representatives and most people who attended the show – it felt like a masquerade to me where everyone tried so hard to make some sort of impression on each other, which I, as a communication designer, found ridiculously funny and sad at the same time. It was very different to other design shows I attended in the past. This particular atmosphere had such a big impact on me that it triggered to start writing my own blog where I can review shows from a more psychological and human-centered perspective.. Should be interesting. Thanks for reading.